Eine super-DVD mit einem der größten Judoka der Welt - Neil Adams. Die DVD ist in deutscher (auch andere Sprachen auswählbar) Sprache. 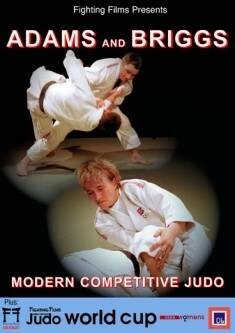 For the first time - world class coaching and a world class competition on one DVD! Neil Adams and Karen Briggs explain and demonstrate the major techniques of modern judo, focusing on the throws and groundwork that won them so many international medals. Also on this DVD is the Fighting Films GB World Cup 2006 for women, which was described as one of the best judo events ever to be held in Great Britain.